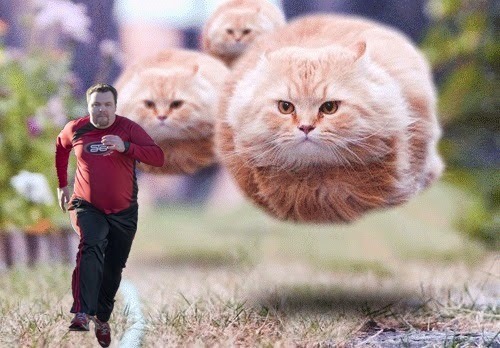 James Duckett: 2015 A to Z Challenge: H for Holmes, Hovercats, etc. 2015 A to Z Challenge: H for Holmes, Hovercats, etc. This letter is almost coming out late. I've had a bit of a long, bad day. Long story. Just in time to cheer me up, I got another photo from Serene of one of my favorite shows (because of its sheer brilliance), Sherlock. 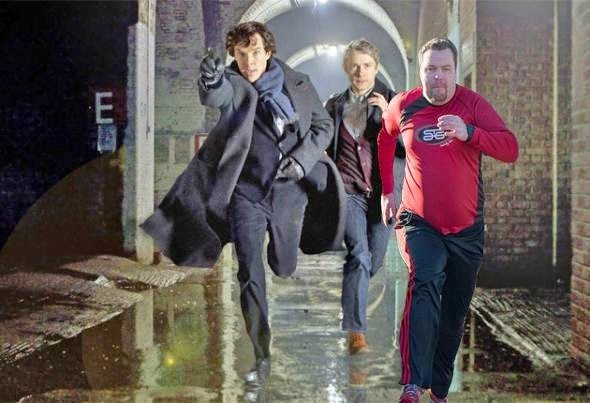 So here I am, with Sherlock Holmes! Also, H is for Hovercats. 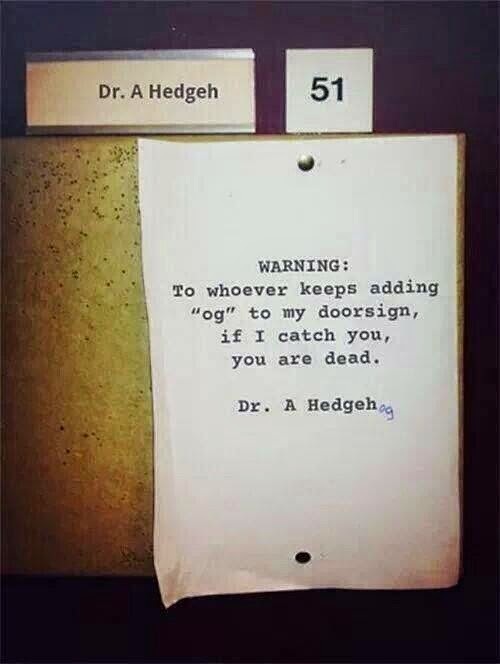 H is for Dr. Hedgehog, may he find his tormentor, destroy him, and find peace in his life. 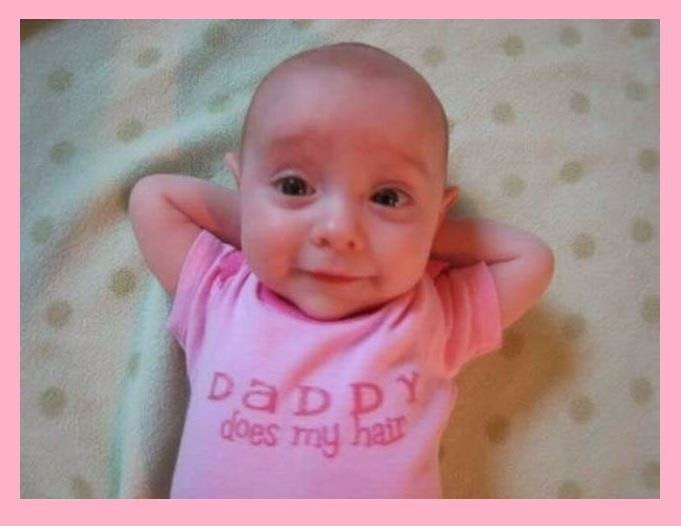 H is for Hairstyles by Dad. 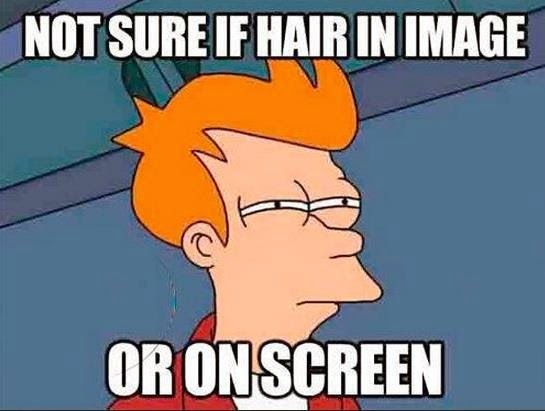 H is for Hair on your screen. Pick it off! It might be a chest hair or something! H is for happiness. 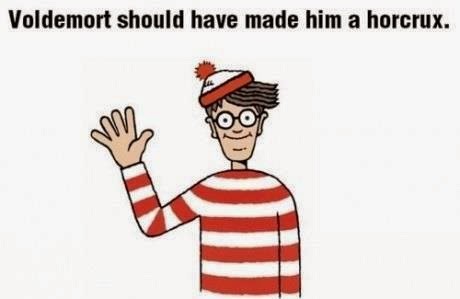 Okay, this didn't make me laugh, but it did make me reflect. 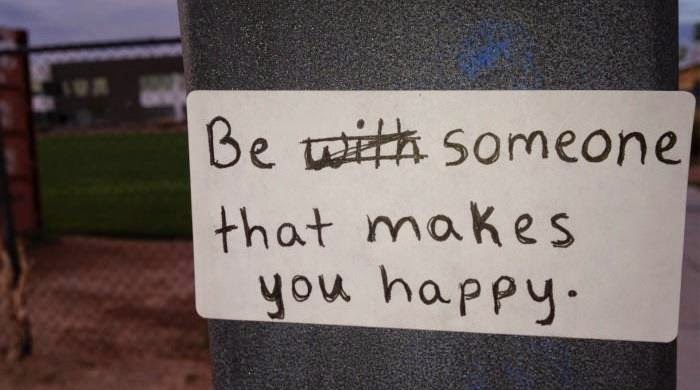 I'm adding it here. 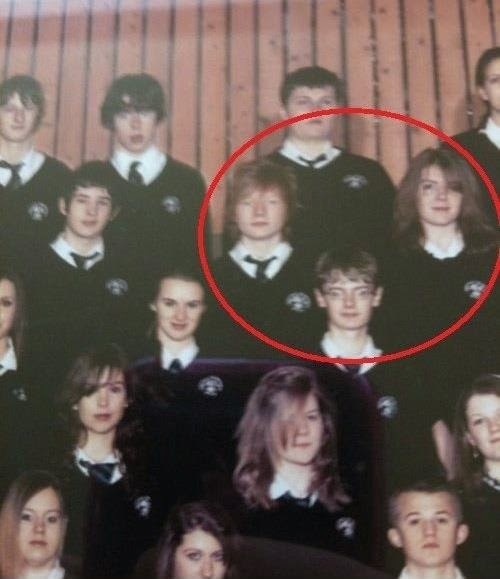 H is for the real life Harry Potter trio. 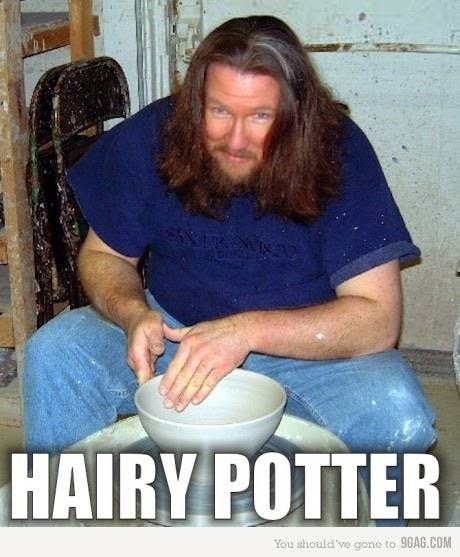 H is for Hairy Potter. 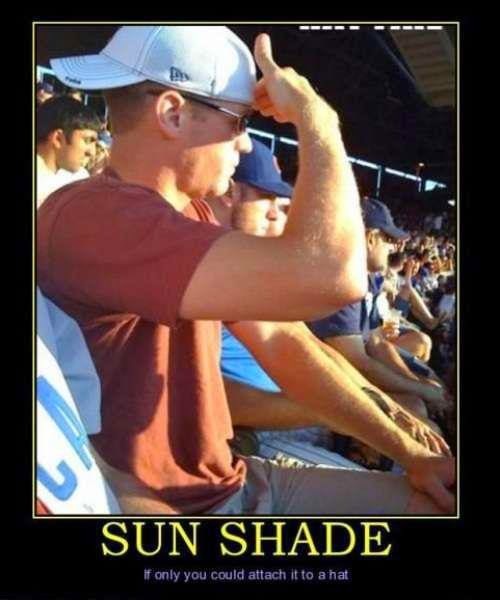 H is for Hats, and how most of them come with a brim. H is for Hate. 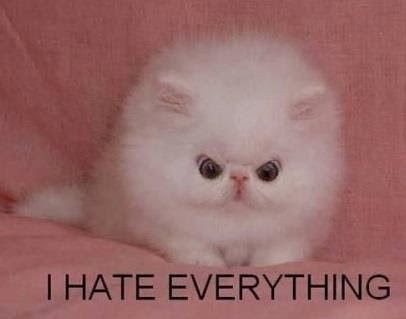 Hehe, I laugh at his hatred cuteness. H is for the Heroes in our lives. 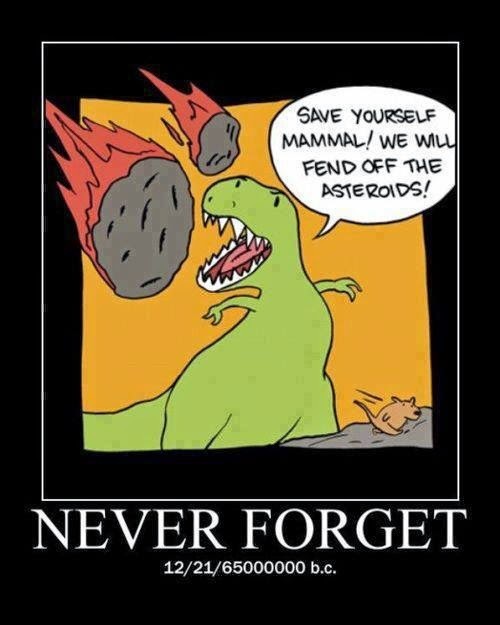 Thank you, brave dinosaurs! 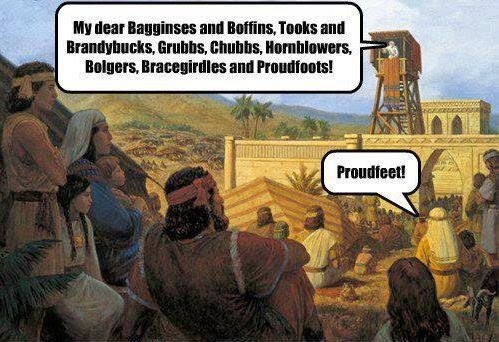 H is for Hobbits, though this is actually an LDS religion joke. If you aren't LDS, don't worry to much if you don't get this. If you are LDS and don't get it, you need to brush up on your Tolkien. H is for Horcruxes, and what might have made He-who-must-not-be-named victorious. Whew! 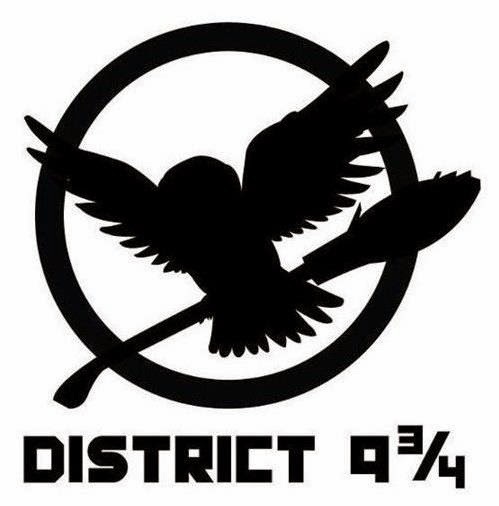 H is for Harry Potter and Hunger Games mashups.